The Buddhist teachings suggest we have a mind that is luminous and precious (like a diamond) and that our happiness depends on us cultivating this jewel within. 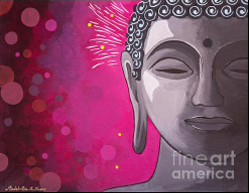 Drawing on the Buddha’s sutras, I show how finding this jewel of our mind requires effort, patience and a willingness to go against the flow of what society calls happiness. My journey into Buddhism has been an unexpected and exciting one. If someone had told me when I was fourteen what I was going to do before my 30th birthday, I would have called them insane. But at the same time I would have sat in wonder at the adventures I was going to have and I would have been unimaginably excited about the years following my 27th birthday. In this brief video, which was originally created to promote my YouTube channel, I provide you with a snippet of my life and what led me into Buddhism. Hi everyone. My first video is finally up! This video gives you a bit of background information about me and outlines some of my plans and hopes for future episodes.